A couple of days back, Rovio Entertainment pushed a teaser trailer of a medieval-themed title, which it promised would be “the most epic soft release ever.” The trailer itself didn’t give too much away besides the theme, but now, Kotaku has got wind that the title will mark the Finnish company’s first delve into the adventurous world of role-play titles. Due to release later on this week in Australia and Canada, we’re more than a tad bit excited to see where this might lead, and although there’s no shortage of great RPGs knocking about, Rovio has proved time and again that it knows just how to keep us sufficiently entertained. The company has already tried to break away from the standard Angry Birds format that propelled it from a small dev-house into a billion dollar franchise, but hasn’t always been successful. Amazing Alex, for example, wasn’t as amazing to play as Rovio made out in the run-up to its release, and with this RPG promising much with the title of ‘Angry Birds Epic,’ casual gamers far and wide will be hoping for something really special. Even though, as has now been established, this won’t be the same avian-flinging affair we know and love, Rovio’s decision to stick with the Angry Birds title means that, if nothing else, people will download and try it out. Likely to be free and supported by in-app purchases, one suspects that those hoping for more of the celebrated pig-bashing fare will be left disappointed, but having said that, it’s good to see Rovio mixing things up a little. 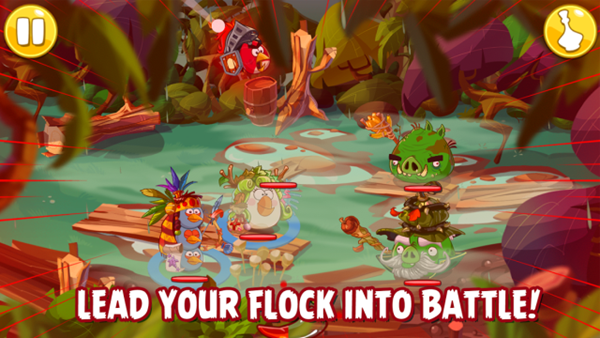 Angry Birds has honed its reputation for providing an unrivalled pick-up-and-play-ability, with levels often completed in a matter of seconds, but this turn-based RPG will include elements of combat and crafting, making for a much more involved gaming experience. 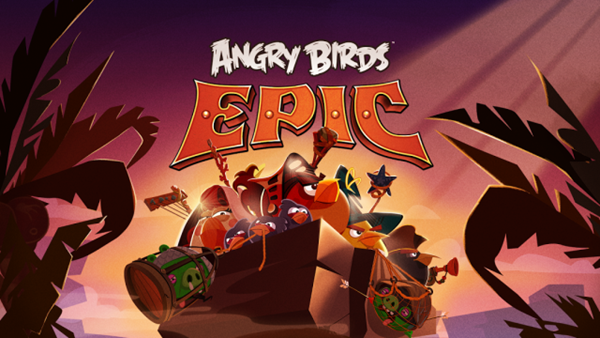 So, all fans of the likes of Final Fantasy, Zelda et al have much to be excited about, and Angry Birds Epic will be soft-releasing in Australia and Canada this week before launching throughout the world later on this year. With the wider release set to span iOS, Android and Windows Phone 8, nobody will be left out of the fun, and let’s just hope it winds up being as epic as the title suggests!